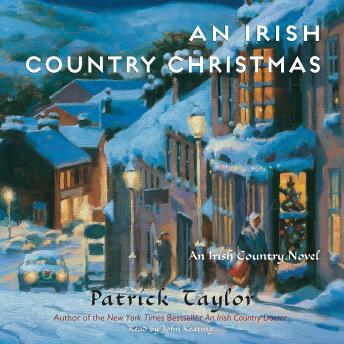 In An Irish Country Christmas, the third book in Patrick Taylor's Irish Country Books, Barry Laverty, M.B., is looking forward to his first Christmas in the cozy village of Ballybucklebo, at least until he learns that his sweetheart, Patricia, might not be coming home for the holidays. That unhappy prospect dampens his spirits somewhat, but Barry has little time to dwell on his romantic disappointments. Christmas may be drawing nigh, but there is little peace to be found on earth, especially for a young doctor plying his trade in the emerald hills and glens of rural Ireland.